Alongside 65km of individual time trials, the 2013 Tour de France will feature more mountain-top finishes than the past three editions. There will be four in total; one in the Pyrenees, before three in the final week. Two of those come on the inconic climbs of Mont Ventoux and L’Alpe d’Huez. 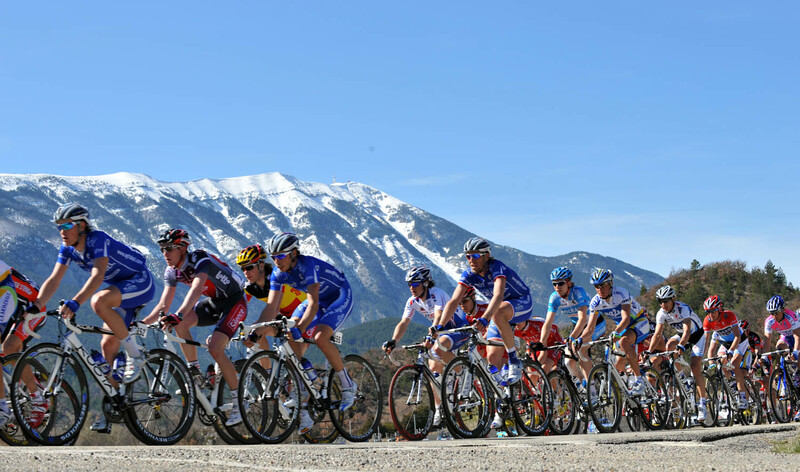 The 2013 Tour will include 28 mountain climbs or altitude finishes ranked hors, first or second catégory – three more than in 2010 and 2012, and five more than last year’s. Here, Cycling Weekly looks at the toughest stages of the 100th edition of la Grand Boucle. The first mountain-top finish of the race comes a week in, as was the case in 2012. Riders will tackle the Col de Pailhères (which tops out at 2,001m) before climbing Ax-3-Domaines. The resort has welcomed the Tour on three occasions – 2003, 2005 and 2010. Who will add their name to the list of previous winners that currently includes Carlos Sastre, Georg Totschnig and Christophe Riblon? The iconic climbs of the Col de Portet d’Aspet, Col de Menté, Col de Peyresourde and Col de Val Louron-Azet are all scheduled to feature on stage nine. The race will also head through Sainte-Marie de Campan where, in 1913, Eugène Christophe repaired the front-wheel fork of his bike after being hit by a car on the descent of the Col du Tourmalet. The Giant of Provence will host a Tour stage finish for the ninth time next July, and its first since 2009. On that occasion, Bradley Wiggins gallantly fought to maintain his fourth place on GC. In 2013, it will come at the end of the race’s longest stage – 242km – although it is the only notable climb along the route. One of the key days in the race could be stage 19, a tough individual time trial around the Hautes-Alpes department. Unlike the test against the watch on stage 11, this time trial is undulating, and could well suit Chris Froome and Alberto Contador. After weeks of speculation, the ASO today confirmed what we all knew – stage 18 of next year’s Tour will include a double-climb of L’Alpe d’Huez. The first ascent will begin 104km into the stage, and once at the top, riders will climb 3km of the Col de Sarenne. After, they will descend into Bourg-d’Oisans, where the Alpe starts once again. The stage will finish at its traditional position on the Avenue du Rif Nel. Given how many people headed to the climb for the mountain time trial in 2004, it’s likely that the biggest crowds of the entire race will come on this day. 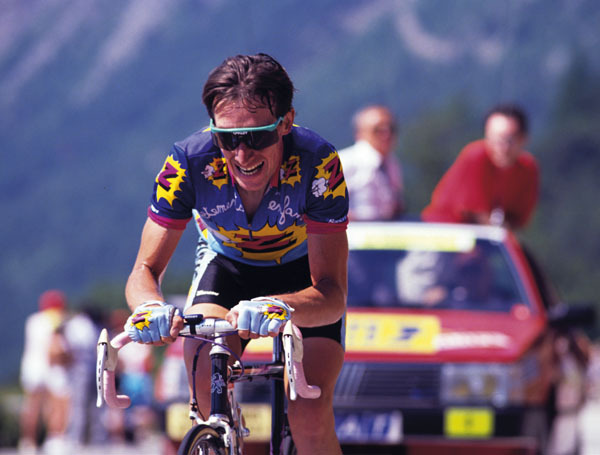 Robert Millar on L’Alpe during the 1989 Tour. On paper, this will be a day for a breakaway. Five climbs lie along the 204km route; the Col du Glandon, Col de la Madeleine, Col de Tamié, Col de l’Epine and the Col de la Croix Fry. The opening 85km (which includes the Glandon and Madeline) are the hardest, although the top of the Croix Fry comes just 12.5km from the finish. Arguably Annecy’s toughest climb, Le Semnoz will welcome the Tour for the first time. Situated on the west side of the area’s famous lake, it averages 8.5% over a distance of 10.7km. Coming at the end of a short stage, the rolling parcours and the last summit finish of next year’s race could result in this being a dramatic stage.